Timber is one of the major materials used in constructing a building. Consequently, it is imperative to choose and use quality timber as this does not only prevent the timber from splitting or warping but also that the timber lasts longer. There are several varieties, grains, and types of timber to choose from, which can sometimes make it difficult for consumers and builders to make a choice. CNC Building Supplies Limited is one of the most trusted and reliable suppliers of building materials including quality timber. Below is a brief overview of timber and the importance and benefits of using high-quality timber supplies. The timber supplied by CNC Building Supplies Limited go through series of checks, ensuring they are free of knots and any other form of weakness that could compromise the quality. A strong and dependable building stock is critical to the success of any building project especially at the initial stage, as it ensures that other parts of the project stand on a solid foundation. Quality timber is not only important due to its cost-effectiveness, but it also ensures ease of work. This is so as the denser, stronger and better quality the wood is, the easier it is to work with. The preparation time is significantly reduced, saving the women and tradesmen time and money. Sourcing for quality timber requires following some tips. Below is a guide on how to source for quality timber supplies. Timber comes in different grades, allowing builders to select the most appropriate grade for a particular job, with higher numbers meaning stronger timber. The grades for softwood range from C14 to C50. The timber supplied by CNC are of high quality, having fewer knots and suitable for demanding jobs. It is imperative that timber used for a building job has the required certification. CNC holds all necessary certifications from the relevant bodies, guaranteeing that all types of timber supplied are of the highest quality, with a wide variety of timber ranging from softwood carcass, prepared softwood and mouldings. In addition to providing quality timber suppliers, CNC also offers a wide range of quality sheet materials that include chipboard flooring, plywood, OSB, and MDF. It is worth noting that while sheet materials are cheaper compared to timber, they have lesser density. However, sheet materials can be considered for projects that are not particular about density. Some of the other wood supplies provided by CNC Building Supplies Limited include chipboard flooring, which is moisture resistant and ideal for lying under hardwood and laminate flooring. OSB, a water-resistant, tough and versatile wood type is also supplied by CNC. Other supplies include plywood and MDF, which are sourced from reputable manufacturers of high-quality timber and building supplies. At CNC Building Supplies Limited, our products speak for us, as we provide a wide range of quality building supplies that include roofing materials, plumbing supplies, and timber supplies amongst others. 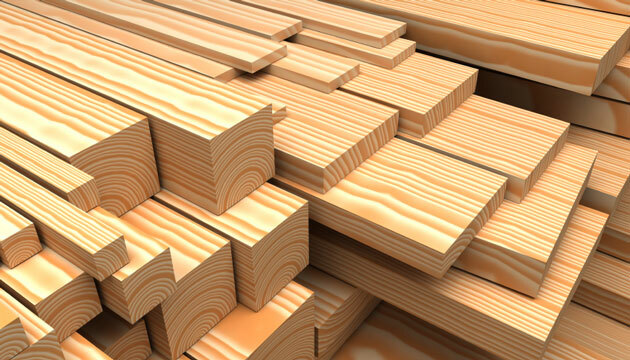 Our timber supplies include floorings, mouldings, and doors.